Happy Monday, dear readers! Here at Solo Lisa headquarters, things weren't too productive on the weekend: The boy and I were trying to take it easy before his upcoming work trip and we binge-watched Stranger Things on Netflix in a single sitting. (So good!) 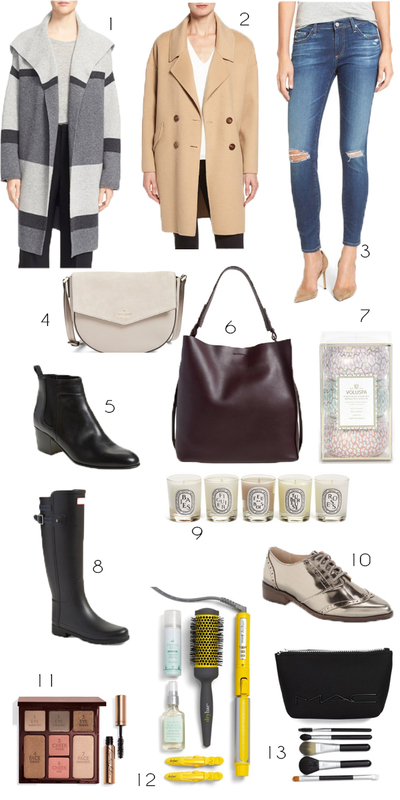 But I did get a chance to peruse the Nordstrom anniversary sale catalogue and pick out all of my favourites to share with you today. Read on for all the details, plus tips on how to shop the sale strategically! The Nordstrom anniversary sale is your chance to shop new fall merchandise when it first comes in, at the best prices of the season. After the anniversary sale, prices go back up. July 14: Nordstrom credit card holders get early access. July 22: The sale is open to the general public. August 8: Prices go back up. Assess your current wardrobe staples and see if anything doesn't fit or is worn out, and shop accordingly. View this as a chance to invest in a great coat, versatile shoes, boots, denim, or a new purse. In my experience, these items are wardrobe workhorses that are worn constantly and can instantly refresh a look, but they also happen to be some of the pricier things to shop for normally. Along the same lines, take advantage of the Nordstrom anniversary sale's lowered prices and beauty exclusives to buy yourself the splurge-y beauty goodies you've been dreaming of for months but never taken the plunge on: a luxe compact, a pro-level curling iron, or a set of quality makeup brushes. Luxe scented candles are always a safe bet. I burn them year-round to fill the condo with pretty scents, and in a pinch they make great holiday, birthday, and hostess gifts as well! I alluded to this in my previous post, but the Nordstrom summer sale is definitely worth checking out as well for staples that can transition to the next season. For example, Nordstrom just marked down a lot of tees and tanks from Madewell, one of my fave brands; I stocked up on perfect cotton tanks to replace some worn-out T-shirts, and plan to wear them with denim shorts now and skinny jeans and cozy cardis later.